Vividh Bharati Radio Live Online . Listen over 100 Hindi FM Radio Stations Online . Press Play button to start listening to this radio station . 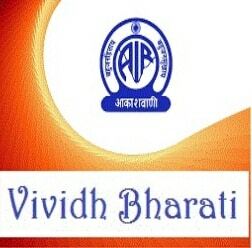 Vividh Bharati Service of All India Radio is the largest entertainment network of the nation. Since its inception in 1957, it has been providing popular and melodious entertainment to the listeners. The entertainment programme, presenting a mix of film music, skits, short plays and other features, broadcasts 24 hours countrywide.